Delicious Dining for Breakfast, Lunch & Dinner at Exceptional Prices. Plus You Choose a Charity to Receive $5,000.00. Dining For A Cause. Come For The Food & Stay For The Fun. Sign up for our exclusive Lake Geneva Insiders Newsletter. Restaurant Week - Nine Days of Delicious Dining For a Cause. With each meal out, you have the opportunity to vote for one of six charities in the running for the $5,000 “Charity Check.” At the end of your meal, look for the ballot presented with the bill. The top vote recipient at the end of the week will receive $5,000 to invest in its mission. This is made possible through the generous support of Lake Geneva Country Meats. Lake Geneva Food Pantry’s mission is to provide food and assistance to community members in need with patience, compassion and respect. They listen without judgement. The volunteers provide a positive and personable “shopping experience” at no cost to participants. Lake Geneva Food Pantry strives to keep their shelves stocked with non-perishable food items along with frozen meats and occasionally, fresh fruits and vegetables, they also occasionally receive eggs, milk, cheese, etc. that they are able to distribute. Lake Geneva Food Pantry supplies information regarding organizations that could possibly help participants with items, such as, clothing, bills, shelter, rides, etc. They hope to assist in any way possible with any many difficult issues that participants may be going through. MyTeam Triumph’s mission is to enrich the wellbeing of individuals with diverse abilities and foster life-long relationships through community athletics. 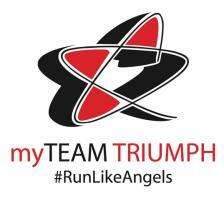 MyTeam Triumph pairs people with disabilities (Captains) with people who are bodied (angels) to train for and participate as a team in endurance events such as road races and triathlons. Between the months of April and September, their local Crew leaders facilitate weekly training runs, rides and swims where people with diverse abilities from the Lake Geneva region. Members train for five major events in the Lake Geneva region. The mission of the Alzheimer’s Association is to eliminate Alzheimer’s disease through the advancement of research; to provide and enhance care and support for all affected, and to reduce the risk of dementia through the promotion of brain health. The Alzheimer’s Association has dedicated Outreach Coordinators who work directly with families in Lake Geneva to provide care and support and spread awareness about the disease and the no-cost services to families. They provide care consolations to families which are personalized and help create a care-plan for their journey, as well as a 24-hour helpline. They train caregivers, police and EMTs, as well as connect staff of facilities to their online trainings – to ensure proper care and support is provided. The Lake Geneva Fresh Air Association’s mission is to overall provide a fresh air experience for those who could not otherwise can do so. The sole purpose is to ensure youth develop the life skills necessary to become self-reliant, productive members of their families, schools and communities. With the new day camp opportunity, local campers who aren’t ready to be away from home for a week can still can experience camp at an affordable rate. Many people often underestimate how influential camp truly is. While campers participate in activities they gain confidence, responsibility, communication skills, positive sportsmanship and respect for self, others and their surroundings. New Beginnings APFV’s mission is to provide safety, advocacy and supportive services for victims of domestic violence, sexual assault, human trafficking, harassment and stalking in Walworth County as well as their affected family members. All of their services are free and confidential. The agency also educates the community – from school children to elders – on these critical issues with the goal of preventing future victimizations.